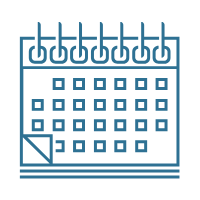 March 5, 2019, at 10:00 a.m. to 12:00 p.m. Date: March 20, 12-12:45 p.m. ABLE Tech's financial loan program helps individuals purchase assistive technology. 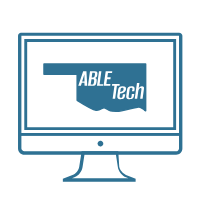 Shelley Gladden will explain how ABLE Tech partners with the Oklahoma Assistive Technology Foundation (OkAT) and BancFirst of Stillwater provide financing options with low interest and flexible repayment terms. Marilyn, who struggles with Diabetic Retinopathy, heard about NewView while receiving therapy for another ailment. She immediately knew she would benefit from NewView’s services considering she had been struggling with low vision. She was excited about the opportunity to try different Assistive Technology and was encouraged to trial a magnifier for one week. Did you know Oklahoma ABLE Tech designed a program to assist parents with disabilities in caring for their young children? This program, supported by a grant from the Christopher and Dana Reeve Foundation and a partnership with SoonerSuccess, Oklahoma Developmental Disabilities Council and Oklahoma ABLE Tech, provides equipment to parents with disabilities or physical limitations that increase the ease and safety of baby care tasks. This equipment is available for loan until the family is able to purchase or until they no longer need it. The Dot Watch is the first tactile smartwatch, with a display and vibration alert to help you stay connected with your friends and family. It connects to a smartphone via Bluetooth and can also operate as a standalone device. 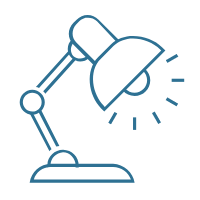 When connected to a smartphone via Bluetooth, it can receive notifications, alerts, and messages from the phone, including caller identification.